Well, I finally got a few moments of sunshine so that I could do swatches...most of 'em anyway. 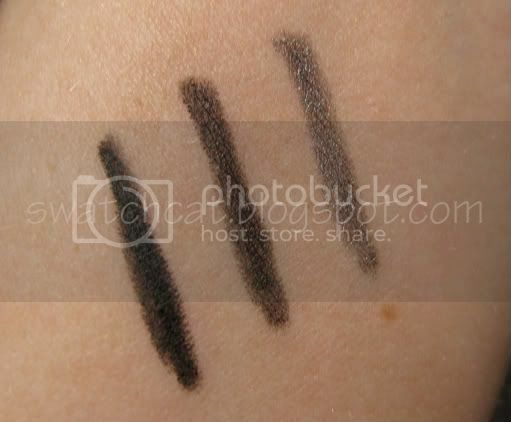 Urban Decay 24/7 Liners are some of my favorite liners. 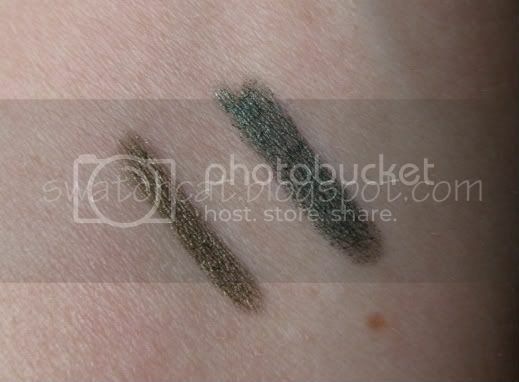 They don't smudge or crease and the color-range is phenomenal, especially in this collection. 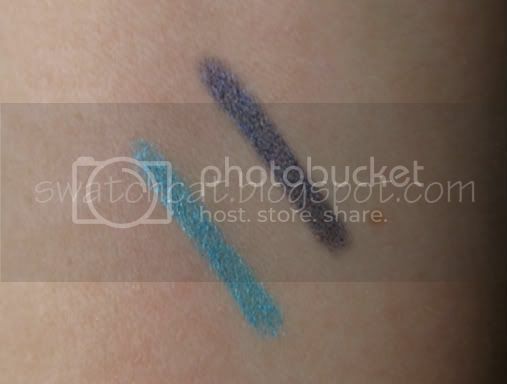 Now for swatches!! I used to think Zero was the blackest black. But UD stepped it up and brought out Perversion. 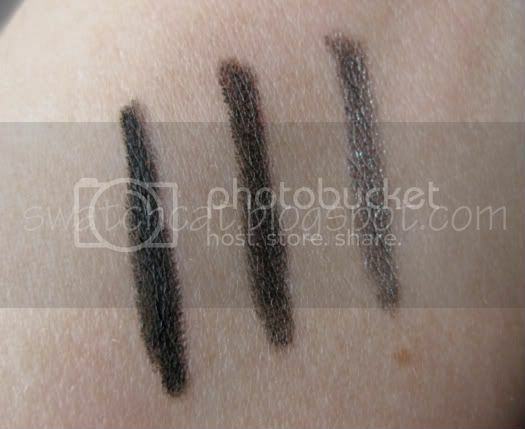 Swatched next to Zero, you can see how deep, carbon black Perversion really is. Zero is still black and I'll still love it, especially since Zero is part of the permanent collection whereas Perversion is exclusive to this Anniversary Collection. But, if you're looking for the darkest black possible, Perversion it is. 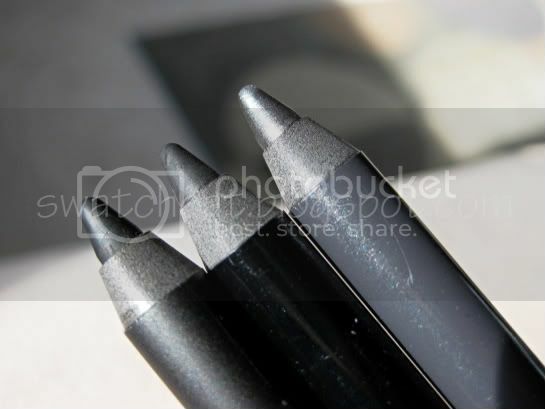 Not to be left out, Uzi is a deep charcoal grey with silver sparkles, and is also exclusive to this Collection. Uzi is quite a bit darker than Gunmetal. Gunmetal looks practically silver next to Uzi. Click for the rest of the collection! 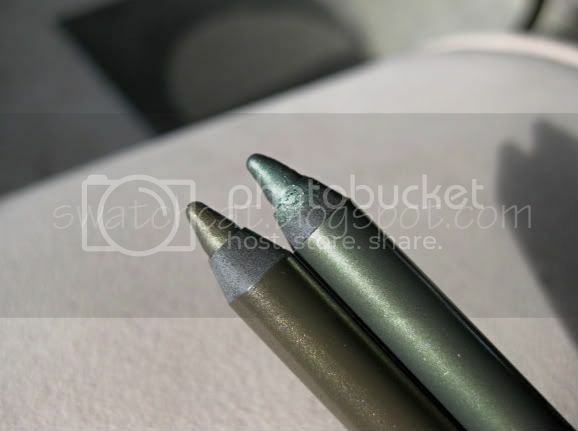 Stray Dog is a cool-toned metallic taupe. It's one of my favorites from this collection, which it is exclusive to, and is much like the shadow. Don't worry if you have Underground. Stray Dog is very different. Underground is much more warm and is a golden taupe whereas Stray Dog is a cool, greyed taupe. 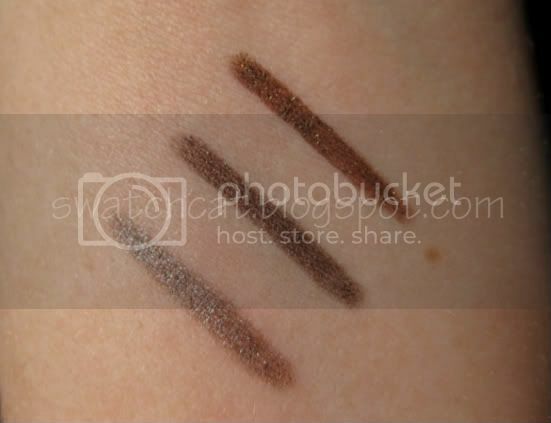 Corrupt is a cool, deep, shimmering brown, and is again, exclusive to this Collection. It is the deep brown I've been looking for, and I hope this is one that gets put in the permanent collection. 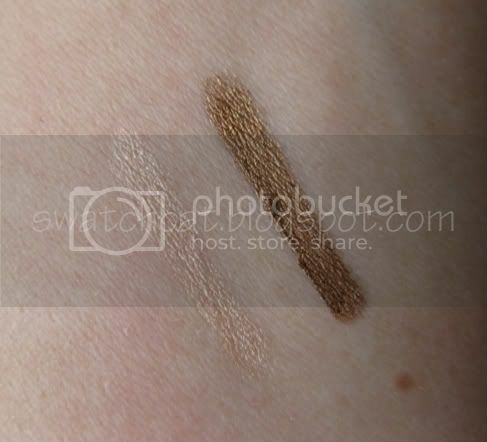 Bourbon is a rich chocolate brown with golden shimmer, and is part of the permanent collection. 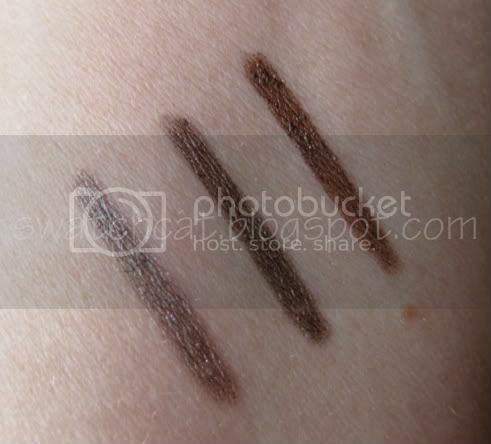 Bourbon gets a lot of use from me, especially when I'm doing a brown smokey eye. Midnight Cowboy is a shimmering champagne beige, very much like it's namesake eyeshadow, and is another exclusive to the Collection. At least the liner doesn't have all that glitter fallout! 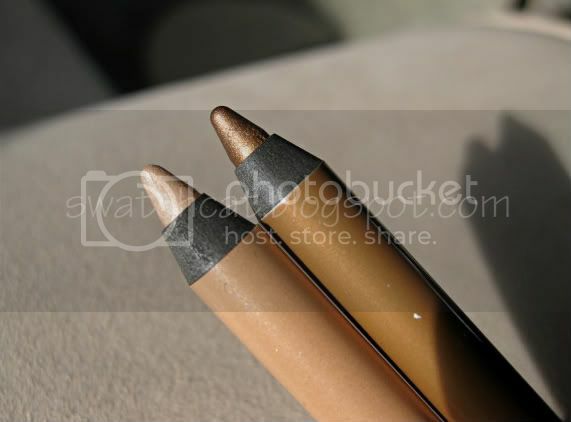 Baked is a metallic bronze, and again, very much like the shadow. Are you spotting a theme, here? Stash is mossy green with golden shimmer. Reminds me quite a bit of my own eye color. 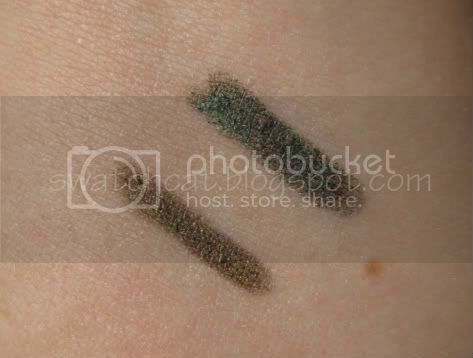 Mildew is a shimmering forest green, perfect for pairing with a deep green smokey eye. Both Stash and Mildew are part of the permanent collection. 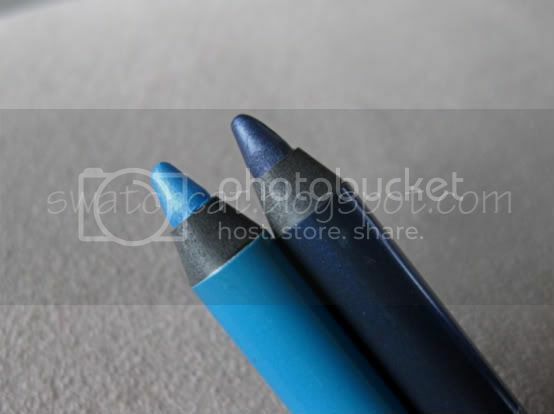 Electric is a bright shimmering teal with silver sparkles. Electric is a rather decent description because it is BRIGHT. 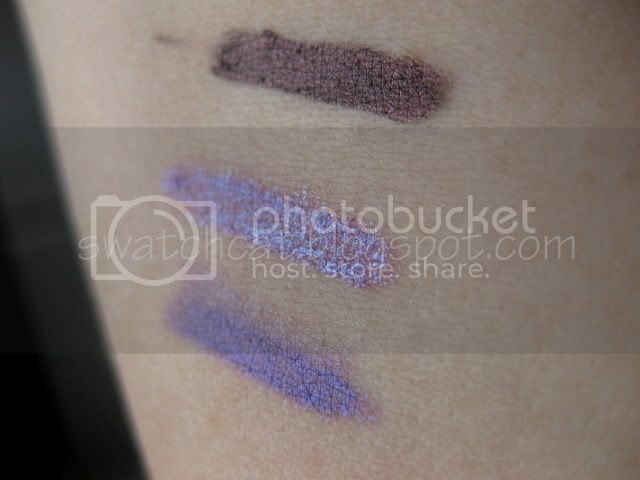 Binge is a metallic, deep blue, almost navy. Blue-lovers, you'll want to nab these two if you pass on the Collection. Both are beautiful, vibrant colors and are part of the permanent collection. Ransom is a bright, iridescent purple...one of those colors that glows. 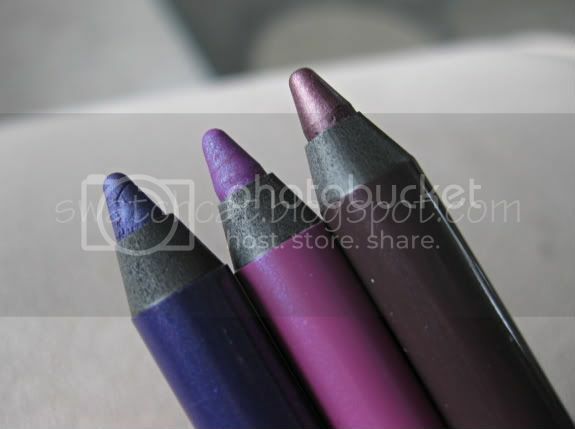 Asphyxia is a pink-based purple loaded with iridescent sparkles. Very sparkly, very fun and is exclusive to this Collection. It's one of those colors you just can stare at all day because it is so pretty and complex. 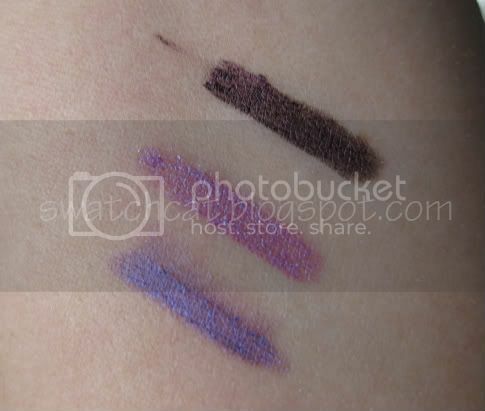 Rockstar is a deep, shimmering, plummy-eggplant, and is one of my most-used liners. If you love purples, Rockstar is a must-have. 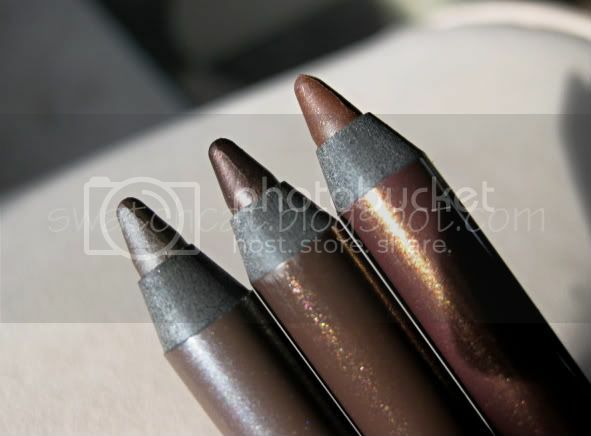 I've worn it recently with both taupe and grey shadows to add an extra dimension to my look, and I often wear Rockstar under my lower lashes as a less-harsh alternative to black. This collection retails for $92, which is an absolute steal for 15 full-sized liners. 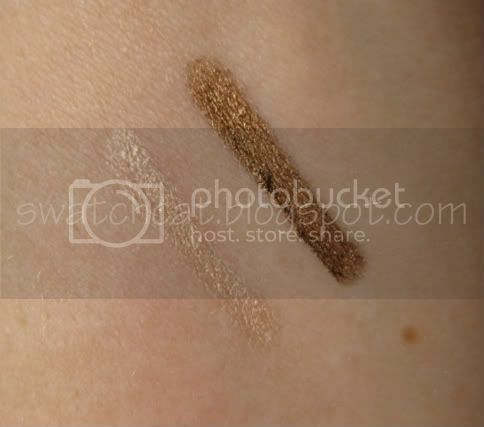 It is currently available at Sephora and on urbandecay.com. I highly suggest grabbing the collection while supplies are available, as this collection is limited edition. I hope that some of the liners exclusive to this collection will eventually be available on their own, as they are too pretty and versatile not to become part of the permanent collection. I love Baked & Stray dog! I was thinking about asking for this for my birthday and I was wondering...I read a lot of reviews that said the packaging smelled pretty bad, was that the case for yours? Thanks! Hmm, I didn't notice a smell. Maybe there were just some bad batches. Thank you so much! Your kind words are much appreciated. FYI, Urban Decay is doing their Friends & Family Sale this week!